While locating a new job can require months of monitoring employment sites, sometimes opportunities open up in a job seeker’s own company. Internal promotions are a great way to advance a career without having to move, relearn company culture or fill out new paperwork. However, just because you’re a great employee does not mean you will automatically get the job. Preparing a resume for internal promotion is just as important as if you were applying to an entirely new company. Before editing your resume, keep in mind that you want to target it to the job you want, not the job you have. When thinking about accomplishments and past successes, frame them in a context of how they apply to the new position. If the new job is managerial, highlight leadership classes, mentoring and other focuses that have prepared you to step into the role. One mistake candidates often make is assuming the hiring team knows who they are and what they do. While this may be true in small companies, the larger the company, the higher the likelihood that the hiring manger has no idea who you are. Unfortunately, just because you joke around with executives in the break room, doesn’t mean that they remember your name. Critique your resume to ensure it includes details on your skills, your job and even your department. Start by rewriting your professional profile at the top of the resume. If you still have a resume with an objective, delete it completely and start over. In the profile, explain your core skills and competencies. One advantage that internal employees bring to the hiring table is that they don’t typically require as much training as someone from outside the company. This is especially true regarding specialized internal software and processes. Highlight this information near the top of your resume in both the profile and bullet points. Give examples of how you have successfully used these specialized skills, obtained advanced training on them or even helped improve them internally. If you’ve been at the company a while, pull out copies of past performance reviews, which often have accomplishments that you can transfer to your resume. Another advantage that internal applicants have is that they know company jargon and important clients. Use this to your advantage when creating a resume for internal promotion by inserting these terms into your resume when applicable. For example, instead of simply stating that you successfully managed a high-profile client, insert the client’s name into the resume. If updating your resume creates a feeling of panic, consider getting professional help. Resume writing companies can examine your skills from an unbiased perspective. 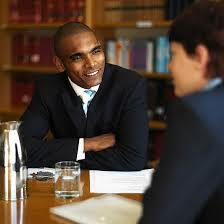 They also have vast experience with assisting job seekers with obtaining internal promotions. Their advice and critique can be invaluable in securing that new position. Whether you live in Michigan or around the country, the certified professional resume writers at Vertical Media Solutions can guide you toward a successful career move. Our personalized resume writing for internal promotions are designed to deliver targeted presentation of your professionalism and qualifications. Learn how we can help today: 616-631-4300.